A New Construction window includes nailing fins used to fasten the window in place and to flash it, helping to make it airtight and waterproof. This usually requires installation of new interior woodwork, and sometimes touch-up painting of the interior drywall. 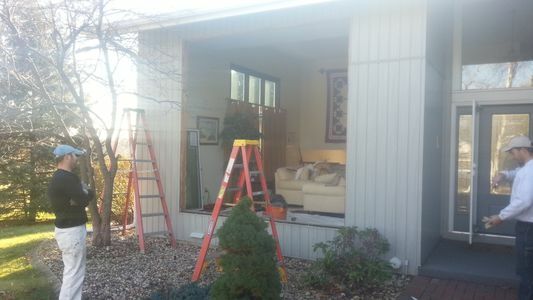 It also can require removal of the siding around the window, or new wide trim installation, depending on circumstances. A replacement window fits inside of the current window frame, leaving the original exterior & interior window frame & trim in place. This is a quicker and less expensive method of replacing windows. But it can also leave existing problems in place. IE, if there is air leakage between the existing window jamb and rough opening, a replacement window will not solve it. If there is rotted wood, the rotted wood often gets covered by aluminum cladding but is not necessarily removed/repaired. There are some good companies who do a good job of replacement windows and I'm not putting down the good ones. There are also some really bad ones, who sell throw-away window products that are a good stop-gap measure. 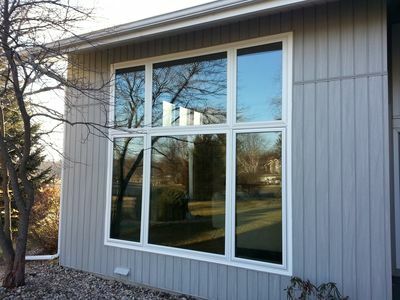 IE, replace 2 worst windows while you wait to replace the entire house full of windows and do new siding and energy improvements all at once. 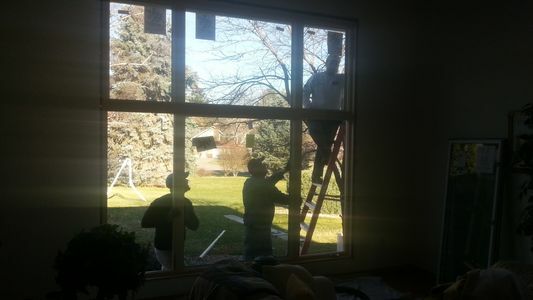 For this reason, my company almost always installs New Construction windows and usually does so at the same time as a whole-house improvement with better insulation, air sealing, and new siding-soffit-fascia as well. It's the best practice if its what your home needs and you can afford to do it right. I suggest saving up to do it right, even if you need to live with a deteriorating product a little longer. It's better for your home in the long run, and better for our nation's housing stock as well! 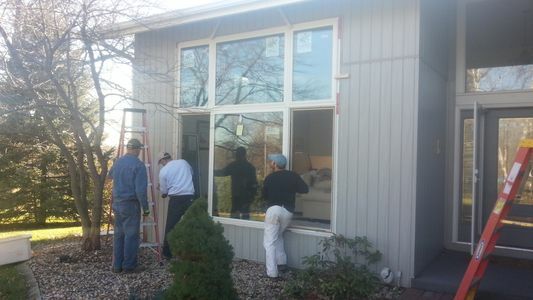 The photos below show before, during, and after-- a new construction window, without installing new siding. Showing some rough-construction photos too of the type of damage that we often discover and fix. How we install peel-n-stick flashing to make a window replacement be "as-good" as a new home construction. If we're replacing the siding, we can literally do so. Without replacing siding, we're limited to the amount of surface we have exposed. Trouble with a Tiny Bathroom?